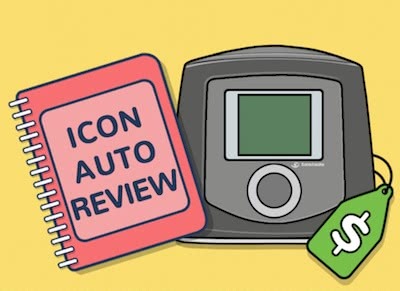 ICON Auto CPAP Machine Review: Cost-Effective Choice? The Fisher & Paykel ICON Auto CPAP Machine is one of the more well-balanced Sleep Apnea treatment devices. Yet the influx of new automated continuous positive airway pressure machines like the ResMed AirSense 10 AutoSet, which features data tracking, has given customers pause. Should you upgrade to one of the tech-focused machines or can you treat your Sleep Apnea effectively using the ICON Auto CPAP Machine? Consider this unbiased ICON Auto CPAP Machine Review to help you make the smartest decision for your treatment. The design of the ICON Auto CPAP Machine is simplistic and retro, which gives the feeling of comfort and familiarity. Users may appreciate this when having this device sitting on their bedside table night after night. A rounded top on a rectangular unit is outfitted with a digital screen and single round knob function. These two features allow you to control all of the features of the machine with ease. It should be noted that the size of the ICON Auto CPAP Machine is 4.8 pounds. Meanwhile, the competitive ResMed AirSense 10 CPAP Machine weighs almost half of that at 2.75 pounds. This is quite a difference, and for travelers depending on portability, the ICON may miss the mark here. Yet for those individuals who want a sturdy, good looking, comforting CPAP machine for home use, the ICON Auto CPAP Machine does that and more. By serving as a humidifier and alarm clock, in addition to a Sleep Apnea therapy machine, this unit is a workhorse that can reduce other appliances already in your bedroom. The F&P ICON Premo does not feature auto-adjusting pressure technology or SensAwake technology. The Auto model is actually an APAP machine for auto positive airway pressure, whereas the Premo model provides continuous positive airway pressure or CPAP. Either machine is ideal for treating Sleep Apnea effectively. However, the APAP model will automatically adjust the air pressure as needed while you are asleep. Should you choose the Auto or Premo model? If you have been treating your Sleep Apnea unsuccessfully for a while now, the ICON Auto model gives you the greatest control over your therapy. With SensAwake and auto-adjusting pressure technology, your device detects when you wake up and adjusts treatment immediately. Then you receive a highly detailed sleep report that shows you and your sleep physician where you are improving and where you need additional treatment. The other model of the ICON CPAP Machine is the Novo. The main difference with this machine versus the Auto model is that the Novo does not feature auto-adjusting pressure, efficacy reporting, SensAwake, or leak compensation technology. It is considered the more basic of the two other more tech-forward models. In addition, the altitude adjustment feature is manual in the F&P ICON Novo, whereas it is automatic in the Auto and Premo models. The InfoSmart technologies in the device are basic level, too. This machine is a more affordable, basic option for individuals who require a less stringent therapy for Sleep Apnea. 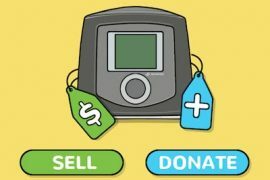 The current cost of the ICON Auto CPAP Machine is $629, a decrease from $1,025 when the device first went on to the market. 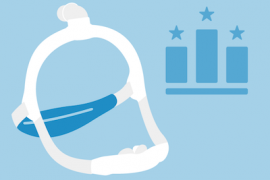 Part of the reason for the decline is due to the increased technology on other, newer CPAP machines including the ResMed AirSense 10. However, for those patients who are satisfied with the features of the ICON Auto CPAP Machine, which does feature automation, this is a bargain. Compare this to the cost of the AirSense 10 at $883 and you have an even greater bargain. 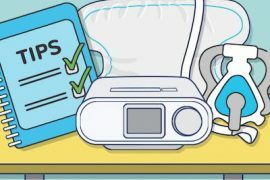 As you settle on the right CPAP machine for your home or travel needs, there are several factors you want to consider. Let’s take a look at these alongside the ICON Auto CPAP Machine by Fisher & Paykel. The noise level of the device is good at a report of less than 29 dBA. You also want a machine that can provide you with the best possible Sleep Apnea therapy to date. SensAwake is one of these technologies. Only available on the ICON Auto CPAP Machine, this feature detects when you are about to wake up so you can begin receiving proactive therapy. This way you are able to overcome Sleep Apnea, which is the purpose of this type of treatment. Auto-adjusting pressure is another key feature in the ICON CPAP machines, coming standard on all machines. This performance feature allows the machine to adjust treatment according to an algorithm. This algorithm looks for a variety of conditions including apnea, flow limitation, and hypopnea. By identifying these sleep concerns, your sleep physician and a team of specialists are better able to treat your Sleep Apnea. Whether you want to purchase the ICON Auto CPAP Machine today or you want to continue shopping for the best CPAP machines on the market, we have what you are searching for. Let CPAP.com be your No. 1 for Sleep Apnea therapy machines. 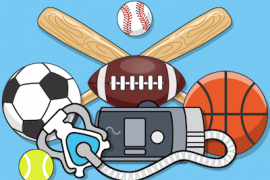 We sell CPAP machines, CPAP masks, CPAP masks, accessories, oxygen concentrators, and other Sleep Apnea supplies shipped right to you.